Our consultation services cost you nothing as we are retained by the franchise companies to present the candidates who possess the necessary qualifications to be successful. The first step is to fill out an information form. Once that has been submitted, one of our franchise consultants will contact you to verify your information. During this initial conversation with our Consultant, the Franchise Categories that interest you the most, will be discussed. During this stage, we gather the necessary information to determine what your capabilities are and which business models will be a good match for you. Our first objective is to understand who you are (e.g. what your past skills are, what type of lifestyle you desire, and what your overall goals are). The ultimate goal of any reputable franchise business is not to “sell” a franchise to just anyone willing and able to buy their brand, but to “award” a franchise to candidates that are highly qualified and will thrive in the operation of their business model. Your success is their success! We will introduce you to the respective Franchises. You will gain valuable knowledge on each of these great business models. Expect to hear about some exciting brand name franchises in the categories you expressed interest in. Keep an open mind, evaluate all the business models, compare and contrast them, and be careful not to discount a business until you have all the information. Often the first glance at a business does not paint the whole picture. Learning the numbers and examining the operation of a business is likely to reveal some impressive potential that you may, at first, overlook. It is essential to ask the right questions from the existing and past franchisees. We will supply you, a list of questions to assist in this process. This is a great opportunity to learn valuable information from those with the experience. This is your opportunity to validate the franchise opportunity and get an idea about the profitability of the franchises. This website, and the information contained herein do not constitute the offer or sale of a franchise. There are certain states that require the registration of the companies’ Franchise Disclosure Document (FDD) before the franchisor can advertise or offer the franchise in that state. The franchises listed on our website may not be registered in all registration states and may not offer franchises to residents of those states or to persons wishing to locate a franchise in those states. The offer and sale of a franchise can only be made through the delivery and receipt of a Franchise Disclosure Document (FDD). Fran Americas is not an agent, employee, representative, or other functionary of the seller of the respective franchises introduced to you. Fran Americas is an Independent Contractor, engaged in the activity of introducing prospective business buyers to sellers of franchises. Fran Americas is paid a finder’s fee or commission by the seller if you elect to purchase a business from a company that was introduced to you by us. Fran Americas has not checked the accuracy of the written or web site information provided by the seller, and assumes no responsibility for the acts, errors, or omissions of the seller, or the outcome of any transaction. 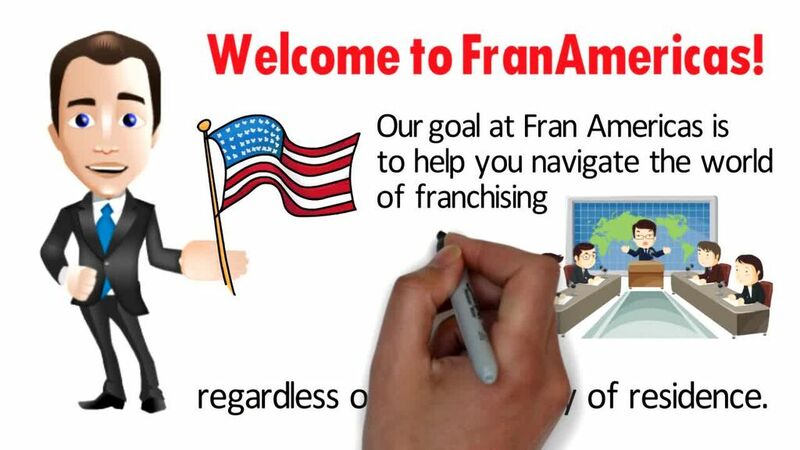 Fran Americas is not qualified to advise in any part of the purchase of a franchise. You are urged to seek professional advice from qualified franchise attorney, accountant, or other qualified resource. Many Franchisors disclose various earnings claims in their disclosure documents. Fran Americas does not enter into discussions of earnings claims. Any earning claims information shall come directly from the franchise representatives. The Federal Trade Commission (FTC) regulates the sale of franchises. The FTC has a very user friendly web site, www.ftc.gov. We suggest you use it.